The Bad Dog model is an eye-catching Matt Cucchiara designed flipper. 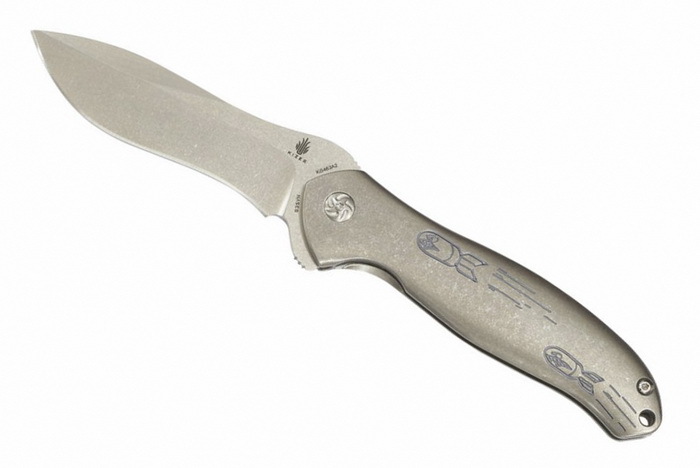 Its titanium handle, like other Cucchiara-designed Kizer knives, has rounded edges that add comfort and refinement to the knife while in hand or pocket. Ceramic bearings at the pivot combined with the flipper opener launch the recurved blade with aplomb. Pocket carry is accommodated with a milled titanium clip. This Big Dog has an embellished handle with milled, blue anodized Bad Dog bombs.